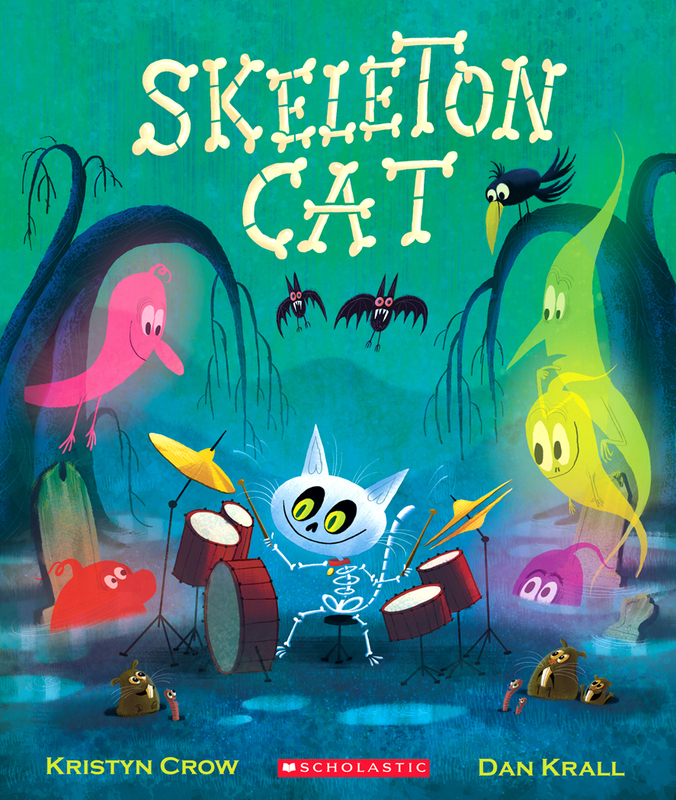 Here's the first pass on a cover for SKELETON CAT, the publisher ended up opting for the simpler image that's on the book now. I'm finding that's actually a pretty common thing in the publishing industry, to go for a "less is more" "iconic" image. I know it's all based on marketing and i have no doubt they know exactly what they're doing, but still i liked this better as an image and wanted to post it. Maybe i'll make some posters out of it and give them away at book readings or something. looking at the two covers i can't help but agree with you. especially loving the type on this version.